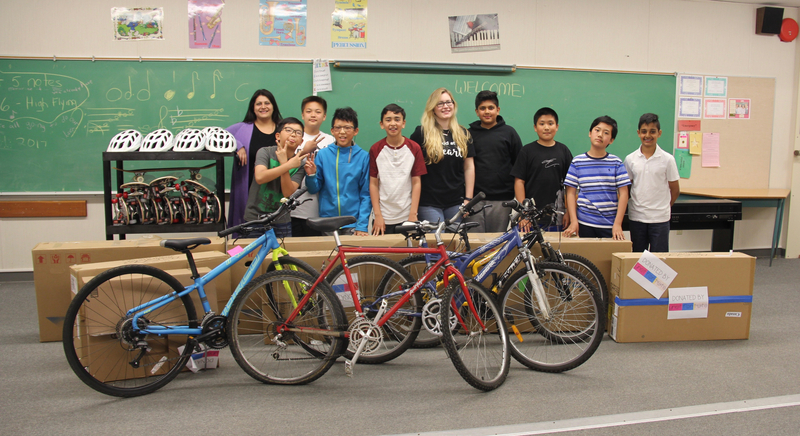 Our Special Projects Initiative is aimed to provide students with the exact resources and items they need to succeed. 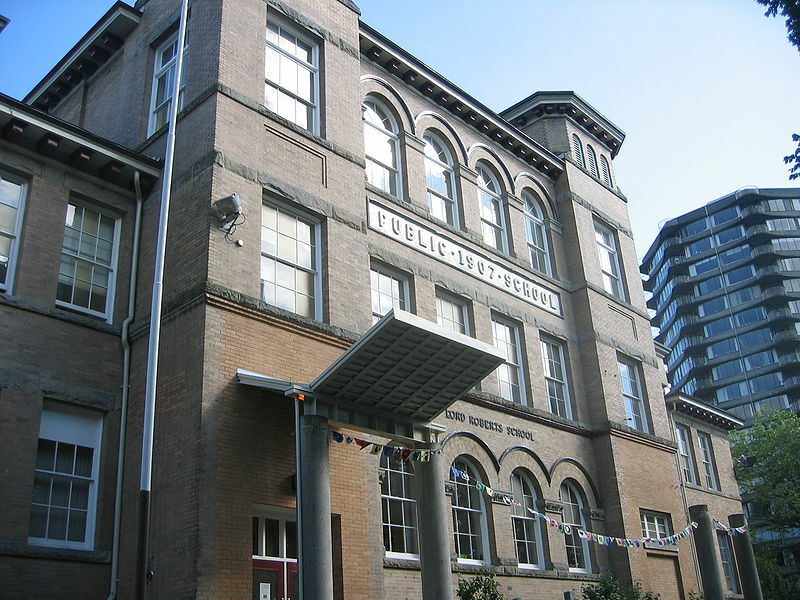 Lord Selkirk Elementary is the largest and most diverse Enhanced Services (formerly known as Inner City) school in Vancouver. We are an inclusive school and have a student body of 650, 29 classes and several special programs including Strong Start Early Learning Program and an Early French Immersion Program. Selkirk celebrated turning 107 years old in 2018 and is a central hub within the Kensington-Cedar Cottage neighbourhood. Our families come from diverse cultural, social and economic backgrounds, but we are one family at Selkirk. Our students are engaged in all aspects of learning, be it academic, athletic or social emotional. We are a health minded school and our students spend a fair amount of non-academic time outside or in the gym. We started a gardening program last year, and plan on continuing with it again this year. We also have a very active library. Our students spend time before and after school, as well during classroom time reading, looking things up on the computer or socializing with friends. Selkirk is a great place to learn! 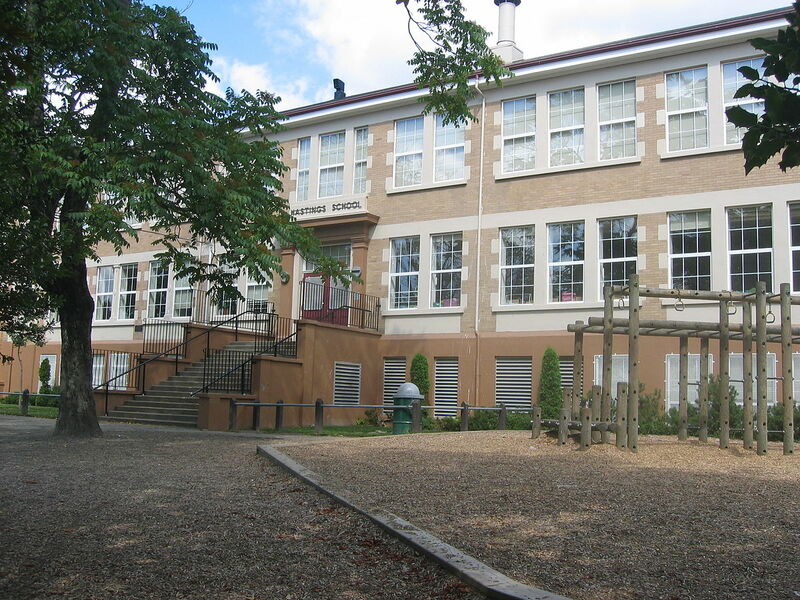 Captain James Cook Elementary is a wonderful school located in Champlain Heights, Vancouver. We have a population of 374 and have recently experienced a growth spurt. 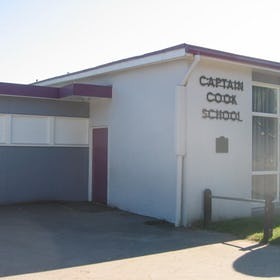 Captain Cook’s school goals focus on mindset, a sense of belonging, and to increase knowledge, acceptance, empathy, awareness and appreciation of Aboriginal histories, traditions, cultures and contributions among all students. We are a very dynamic school with a great deal of Killarney Community School Team involvement and many after-school programs. We house the Kid-safe program in the school breaks and there is a real sense of community within the students, staff, and students. 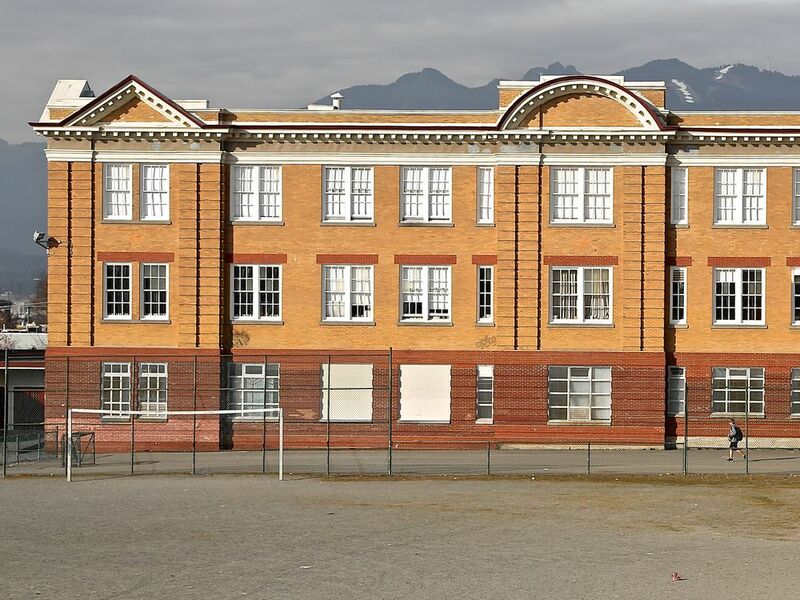 Roberts School has an enrolment of 600 culturally and economically diverse students in a densely populated community. 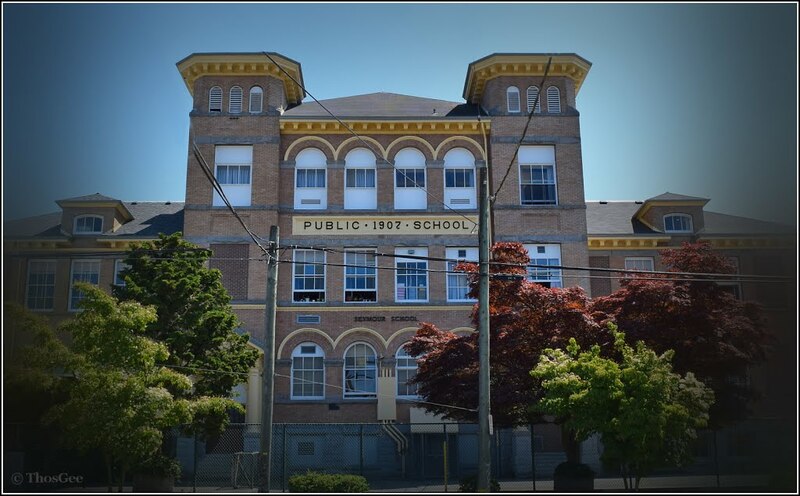 Roberts has been a school in our community for over 100 years, it has a rich history of caring for our community. The school plan for 2018 – 2019 places the wellness of our children and our school community front and center. As a community , the ability to learn, socially, emotionally and intellectually is valued. To deepen our support for children building strength in their day to day choices, as a staff, we support all students with social emotional learning, creating opportunities to give and feel valued and acknowledged, and encourage lifelong habits that promote wellness, which fosters healthy nutrition, exercise and play routines and choices. To note, Roberts will be expanding its school garden to ensure that all children are able to learn through growing. Students will be embarking on a program called Edible Education, a program where children can grow, harvest, prepare and share their food in our urban community. 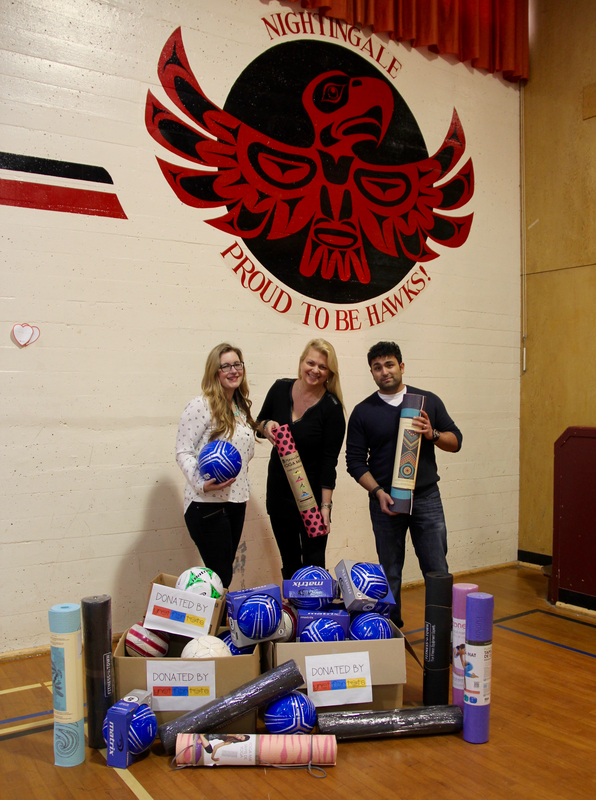 On February 8, we donated 30 basketballs to Hastings Community Elementary School! 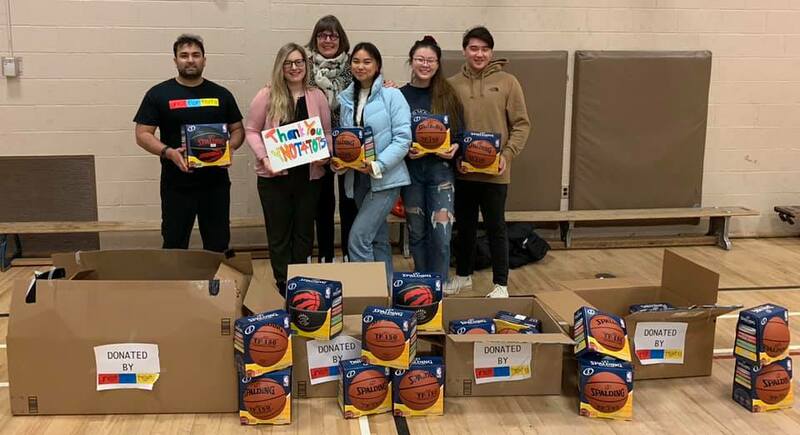 They are a school who is very passionate about basketball and we had a wonderful time presenting these donations to the basketball teams. They were very excited to start using them! 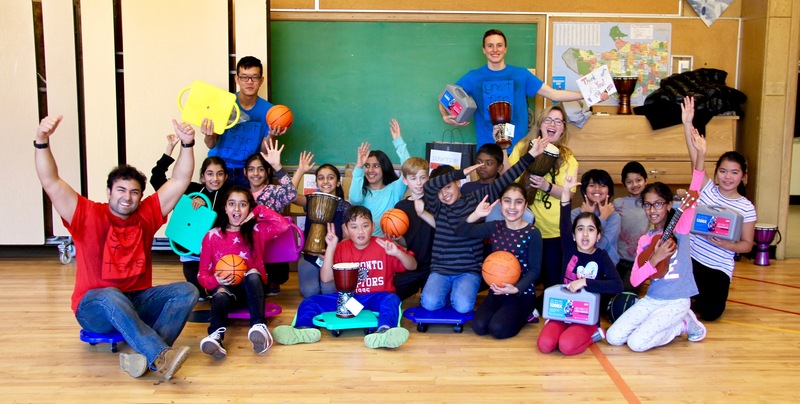 As the largest inner city school in Vancouver with over 600 students, we are always looking for ways to engage our students in healthy alternatives. We would very much need a class set (30) basketballs. Hastings is a ‘basketball’ school and our students enjoy playing before and after school as well as during recess and lunch. 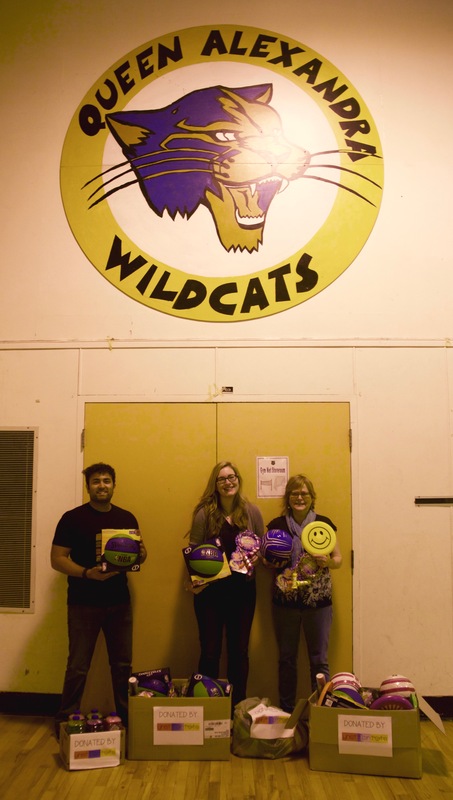 Your kind gift would go a long way to getting more basketballs into the hands of our neediest students. -900 occlusion therapy eye patches for kids. -40 pairs of high quality kids eye glasses that can withstand wear and tear (such as Miraflex glasses! ABOUT THE ORGANIZATION: The Downtown Eastside Eye Clinic is a part of the Vancouver Native Health Society. 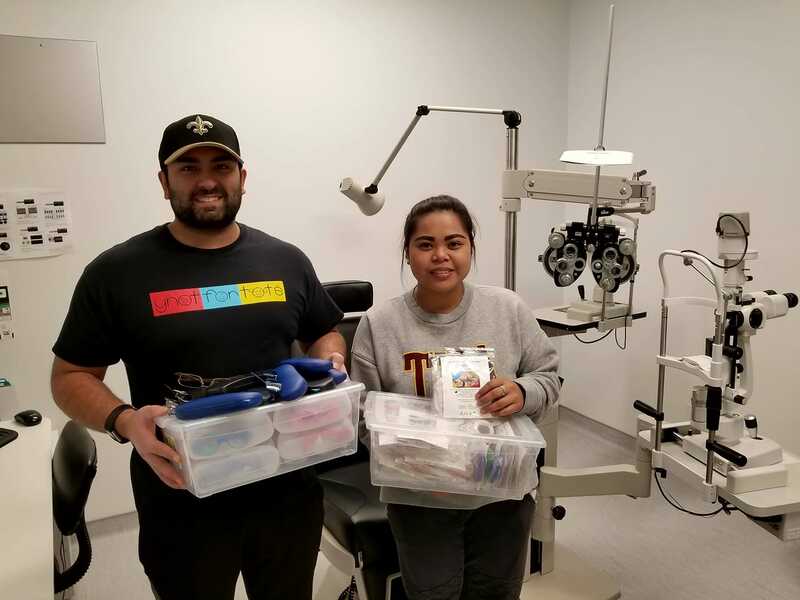 They provide eye examinations by ophthalmologists and optometrists to many individuals in the area, both adults and children alike. 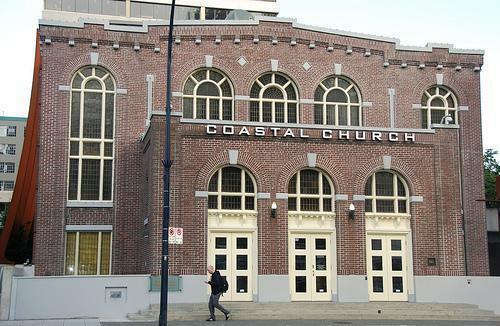 ABOUT THE ORGANIZATION: Eden is a small group of Christians living in Downtown Eastside (DTES) rooted in a local church by the name of Coastal. We seek to positively impact our Downtown Eastside neighbourhood by living long-term and intentionally in close proximity to hurting individuals and families. Eden focuses on the toughest neighbourhoods. 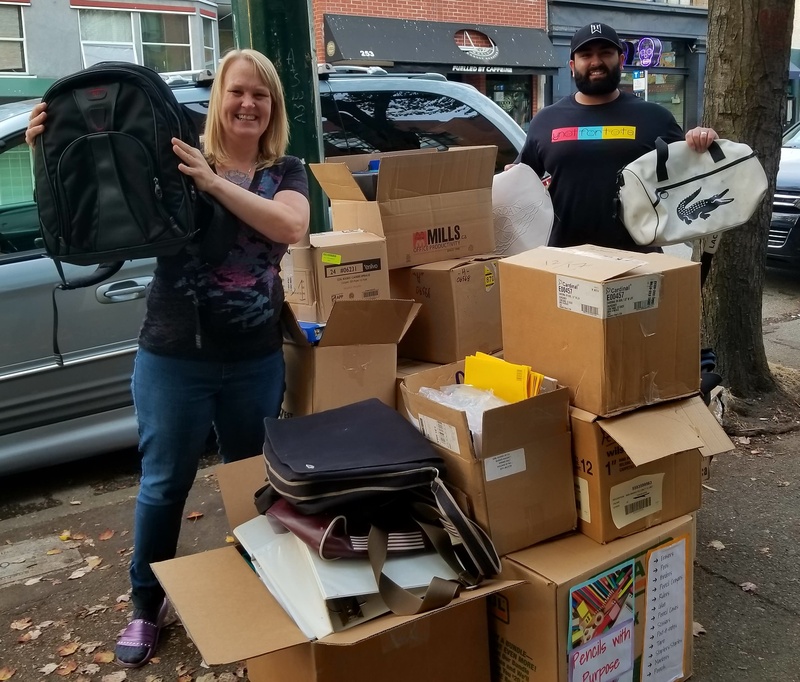 We desire to bring positive transformation to DTES where many individuals and families struggle with material poverty, homelessness, poor health, addictions, mental illness, low education achievement, inequality and oppression. Our team lives right in the heart of the community. Our first priority is reaching young people through long-term relationships to provide support, love and encouragement so that they may realize their full potential as individuals part of a diverse community. With this approach we hope to help prevent young people from walking into an unfulfilled and purposeless life that can lead to isolation, depression, habitual crime and/or addiction. We believe reaching our young population can help the transformation of the wider neighbourhood. ABOUT THE SCHOOL: Grandview Elementary is located in the Grandview community near Commercial and Broadway. The school serves approximately 140 students and various backgrounds and ethnicities. Grandview proudly acknowledges that we live, work and play on the unceded and traditional territories of the Coast Salish peoples – sḵwx̱wú7mesh (Squamish), sel̓íl̓witulh (Tsleil-Waututh), and xʷməθkʷəy̓əm (Musqueam) nations. The students at this school are highly supportive of their classmates and recognizes that they are each different and unique in their own way. Grandview Elementary is very much a community. 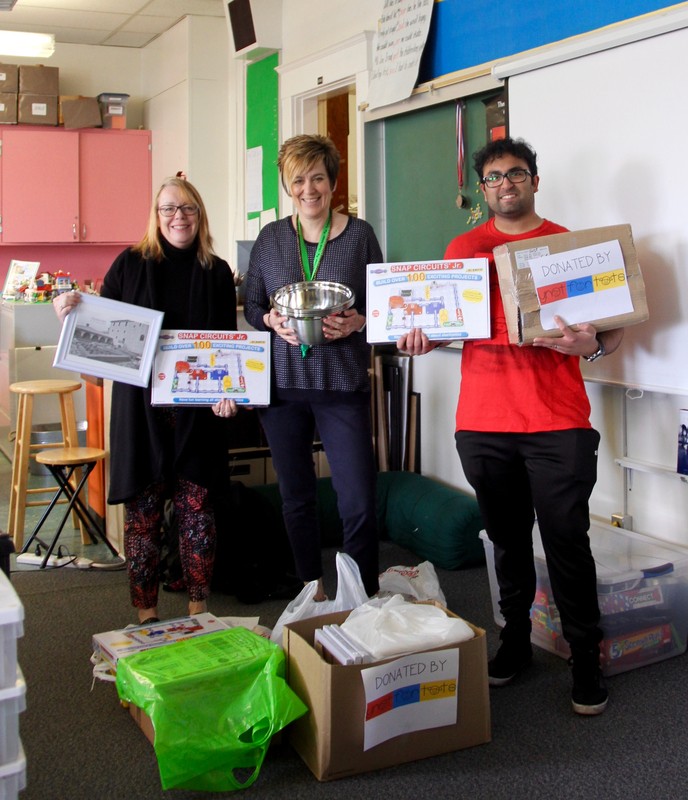 On January 26th, 2018 we had the opportunity to deliver a bunch of books to Waverley Elementary today for their Mock Caldecott. It will help teach students about the value of reading, art, and other important life skills! Thank you to everyone who helped make this possible We are also collecting more items for their school (see the item registry above). 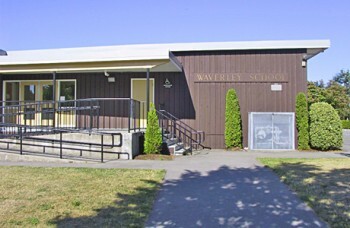 ABOUT THE SCHOOL: Waverley Elementary is a Kindergarten to grade 7, ‘inner-city’ school with approximately 420 students. Our staff is committed to providing programs that support students with learning through a social emotional lens, including school wide goals on enhancing our awareness and understanding of Aboriginal culture and histories. Our students have a variety of diverse needs including many ELL students who also engage in Heritage language development. We are focused on creating/maintaining a positive, supportive and reflective school climate. We are also committed to ‘Early Intervention’ and we use the Reading Recovery program with our grade 1s. 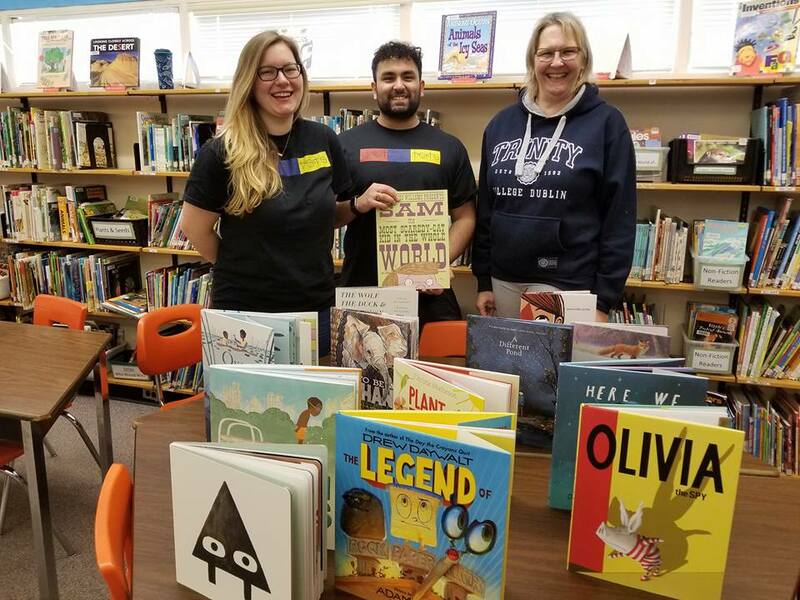 Our parent community is actively involved with our school, and we continue to enhance classrooms with volunteers, collaborative work spaces and hands-on technology opportunities. 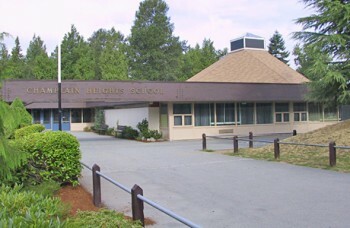 ABOUT THE SCHOOL: Champlain Heights Community School has 254 students from Kindergarten to Grade 7 in 11 divisions. For Kingsford-Smith Elementary, we are hosting 171 students from Grade 3/4 to Grade 7 in 8 divisions. Their primary classes are at McCorkindale Elementary. Our school (admin, staff and students) has done an amazing job of hosting Kingsford-Smith. We were concerned at first, had a few challenges and now embrace the schools together as one.We have a monthly joint spirit assembly featuring highlights such as: the Champlain-Smith News with student reporters discussing concerns such as playground safety, school property boundaries, and stewardship, special appearance of the band ‘School Supplies’ starring Gluestix (aka Mr. Hodson, CH Grade 3/4 teacher) and Sally Staples (aka Ms. Cordingly, CH Music Teacher). Our hit song is ‘Sweet Champlain Heights’ – the students love singing the joint school song – it certainly raises the roof! I have attached a photo of the lyrics; my apologies if it’s not clear. Our Code of Conduct – R.E.A.C.H. for the heights – is referred to regularly. Students have decorated posters to hang around the school. BabyGoRound is an idea born out of the need to give back to those who may need it the most – new mothers with newborn babies and children aged 0-4 years.The arrival of a new baby for most woman is a joyous time filled with celebration, anticipation, baby showers and wonderful gifts of new clothing, baby gear, and the required essentials needed to care for a newborn and young child. However, for many women this is not the case, and the arrival of their newborn is fraught with worry about not being able to provide their baby with what is needed for their early development. 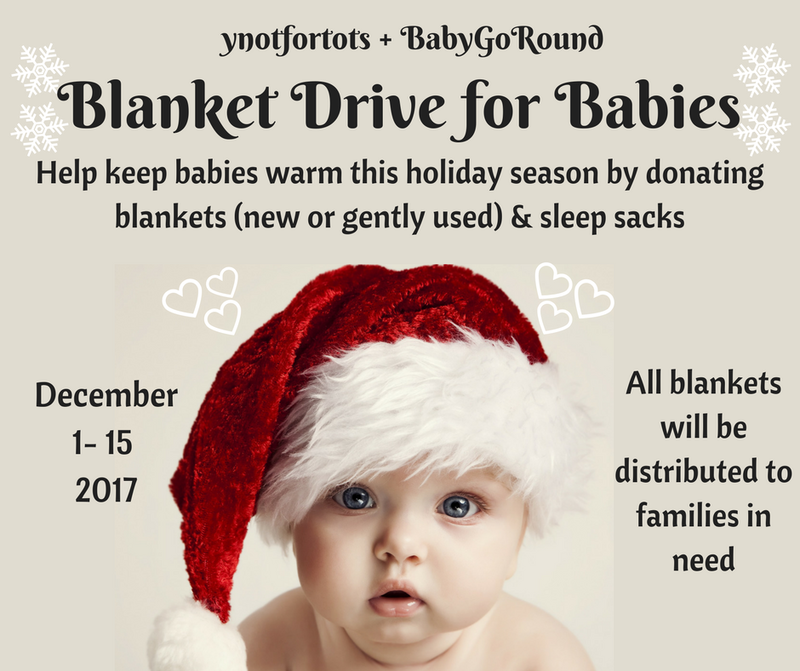 BabyGoRound is dedicated to providing Lower Mainland families in need with essential equipment, clothing, and products for their infants and young children. 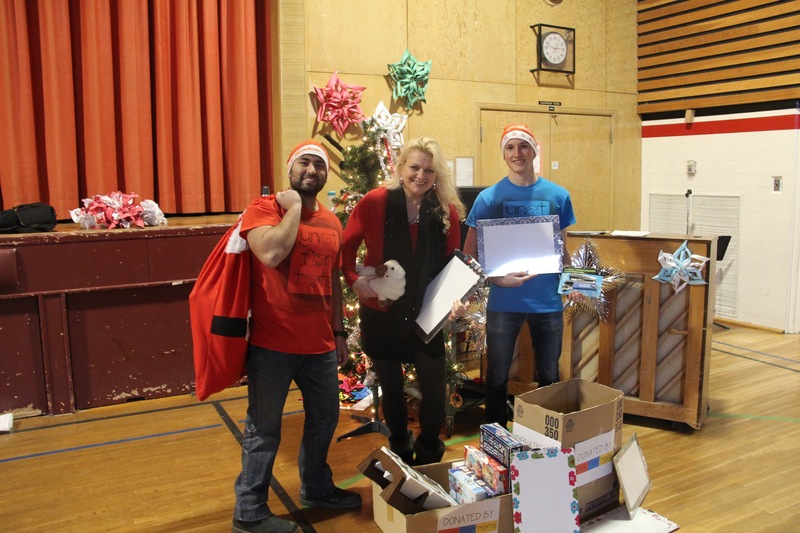 These items are delivered through a network of qualified social service partners in the community. The goal of BabyGoRound is to help mothers access the essentials they need to ensure the well-being of their babies and young children. By providing concrete resources to their families through a network of social service professionals. The stress of having a new baby can be alleviated for those mothers who are struggling financially. As families fall below the poverty line, these services become even more critical. The items they require are all around us – perhaps they are in your child’s room, still unused or in storage, or perhaps you are about to throw them away – please don’t. Instead, we want to create a home for these items and to pass them on to people who require these gently used or new items for their children. 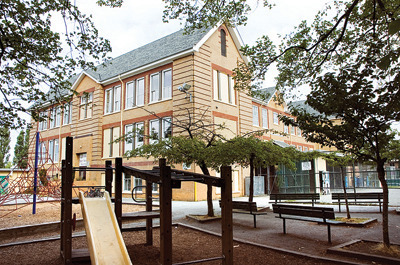 ABOUT THE SCHOOL: Windsor Elementary is a school located on the corner of Gilley and Imperial, just north of Kingsway. We are a school which prides itself on building community and providing students with a safe and welcoming environment to learn and grow. Our school focuses on respect, ownership, cooperation, kindness and safety. We have over 25 languages spoken in the school and we aim to welcome families and students from around the world. We have many new families in the area and some that are new to Canada where English is now a second, or in some cases, a third language for them to learn. 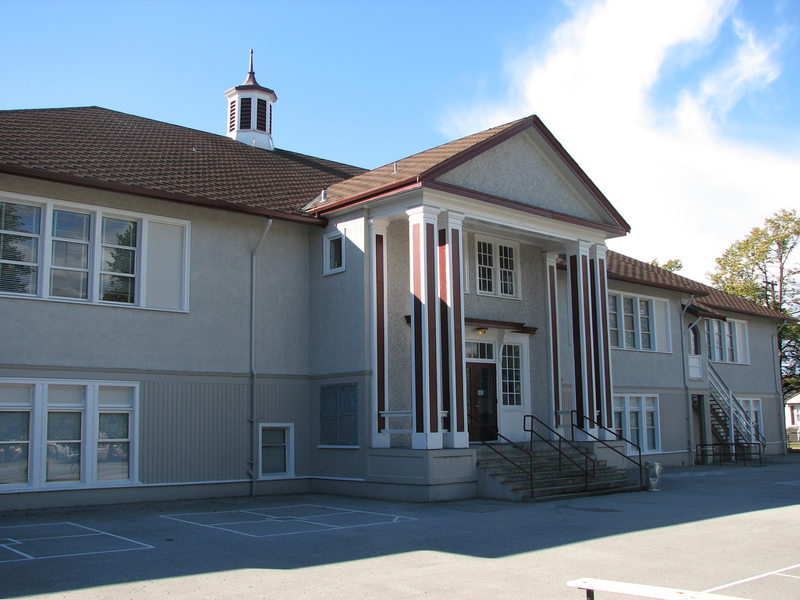 ABOUT THE SCHOOL: Harry Hooge School is located in central Maple Ridge, BC. We have 430 students in grades K-7. Our school has a breakfast program and lunch program to assist our students who come to school hungry. Approximately 10% of our population lives below the poverty line and many of our families struggle to make ends meet. Our school has more students designated with special needs than any other school in Maple Ridge. 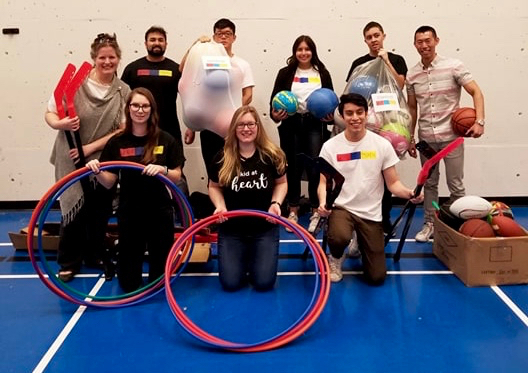 According to MDI research conducted by UBC, 27% of our students score low in the well-being index (measuring physical health and social and emotional development). ABOUT THE SCHOOL: Edmonds Community School is a hub of support for the students, families and community members of Edmonds. 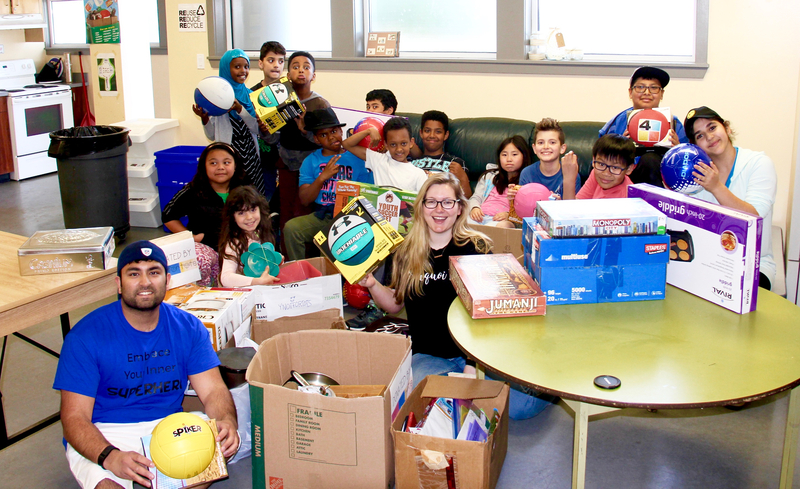 With a long history of welcoming new Canadians to Burnaby, Edmonds Community School is always on the look-out for community partners who are looking to make a difference in the lives of students and families. We are a unique school in that many of the families who settle here have come from challenging circumstances, and who are ready to learn and embrace life in Canada. There is a deep sense of appreciation and mutual support within our community. 20 Snap Circuits (to teach students about electricity). A huge thank you to Mr. Alex Wells for an incredible performance at Seymour Elementary on October 5th! All the kids and staff greatly enjoyed his scintillating performance and workshops with the kids! ABOUT THE SCHOOL: Seymour Elementary School is a caring community of staff, students and parents. We are committed to promoting academic excellence in a culturally diverse setting. We adhere to the philosophy that all students can learn and encourage our children to become socially responsible citizens. At Seymour School we are: mindful of ourselves, mindful of this place, and mindful of others. commercial shops, and the unique combination of restored heritage and social housing. We enroll approximately 115 students in 6 divisions with an additional three classes for a start-up school. Our community is truly multicultural and diverse with significant numbers of English Language Learners, Aboriginal children, & those with special learning challenges. 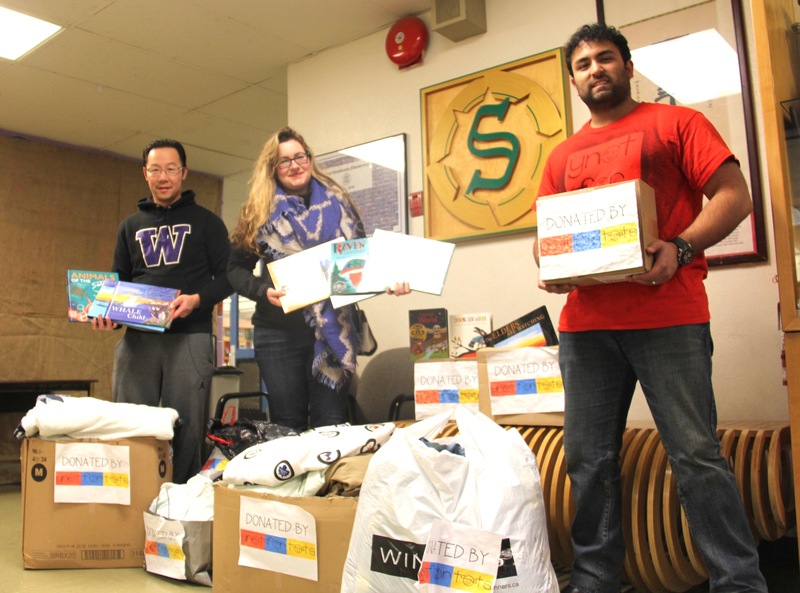 Click below to find out what donations we are collecting for this school! 24 double packs of lice treatment kits. 14 beautiful Aboriginal story books. 12 sheet sets (12 fitted and 12 flat sheets) + 2 extra flat sheets. 5 comforters + 5 duvet covers. 5 pillow covers to prevent bed bugs. 20 pillow protectors (to protect against bed bug infestations). 12 mattress protectors (to protect against bed bug infestations). 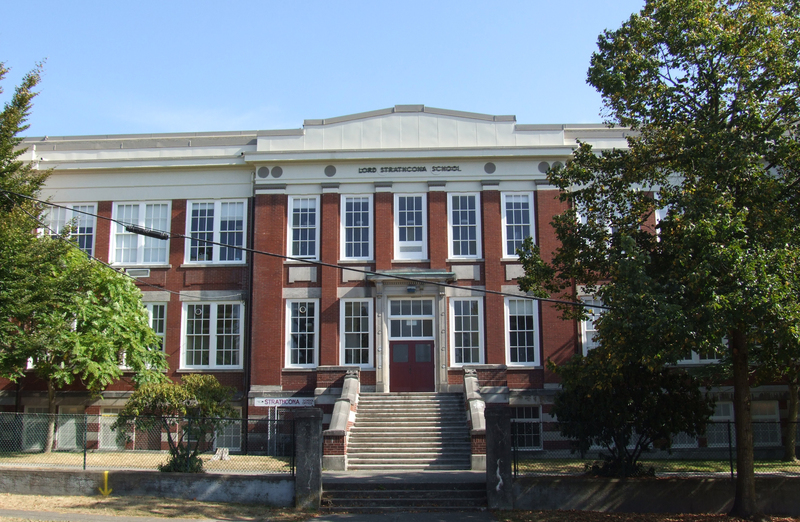 ABOUT THE SCHOOL: Strathcona is Vancouver’s oldest elementary school and was built in 1891. 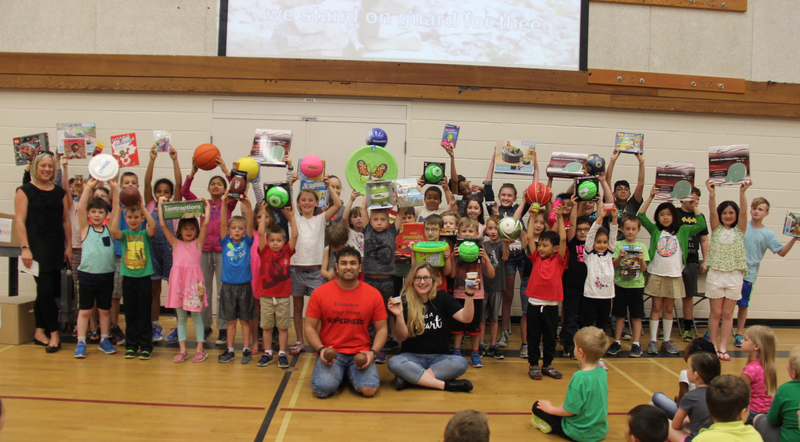 Lord Strathcona is a large, complex, dual track, enhanced services Tier I school with strong parental support and community involvement through partnerships with various groups and agencies. 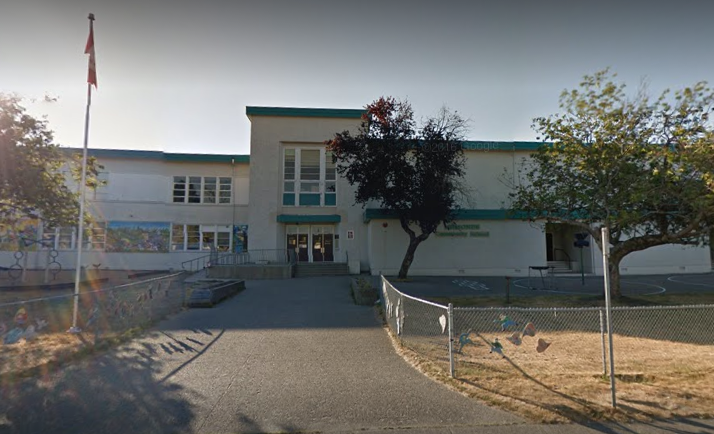 Strathcona has 574 students enrolled from kindergarten to Grade 7. Strathcona is committed to fostering student academic achievement for all learners. Strathcona, as a Tier I Enhanced Services school, receives extra services, supports and staff to meet the needs of our vulnerable learners. ABOUT THE SCHOOL: We want to welcome all students, staff and parents to John Henderson Elementary School. Our school is committed to supporting engaged learners and fostering a caring and inclusive school community. We welcome learners of all types and invite you to contact our staff to learn more about the wide-range of excellent educational programs and services we offer at our school. Our mission at John Henderson Elementary School is to encourage students to respect themselves and others and to strive to do their personal best in all ways. Each of the citizens of the Henderson Elementary School community are expected to be safe, be fair, and be kind! Numerous Christmas themed stuffed animals for the kids to play with and enjoy! 5 buckets of sidewalk chalk. 5 large bottles of bubble soap. ABOUT THE SCHOOL: The Queen Alexandra F.A.M.I.L.Y. 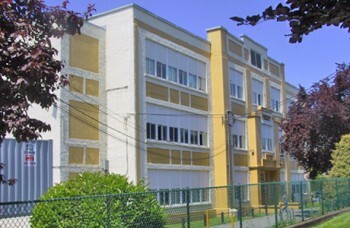 (Fine Arts Multicultural Integrated Learning for Youth) is an Enhanced Services School (previously called an Inner City School). We are a Tier 1 school, meaning our students have the highest needs and most vulnerable. 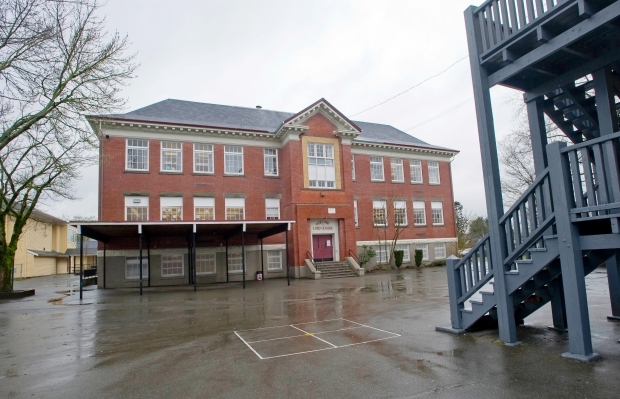 Students are frequently living in poverty and do not have the same degree of exposure or opportunities as the majority of students attending Vancouver schools. We have a diverse population with 85 Aboriginal students, 80 English language learners and 50 students with special needs. 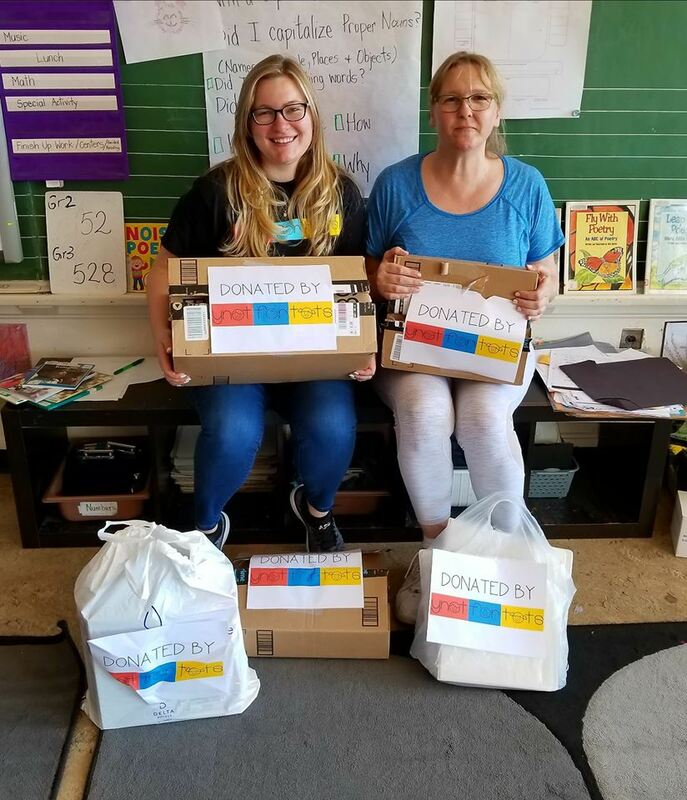 We greatly appreciate support from our community partners to help provide opportunities to these students that their families may not other wise be able to provide. We find that physical activity at recess and lunchtime helps build healthy students and develop physical skills to ensure positive participation. The items our item registry are to support this healthy living lifestyle. 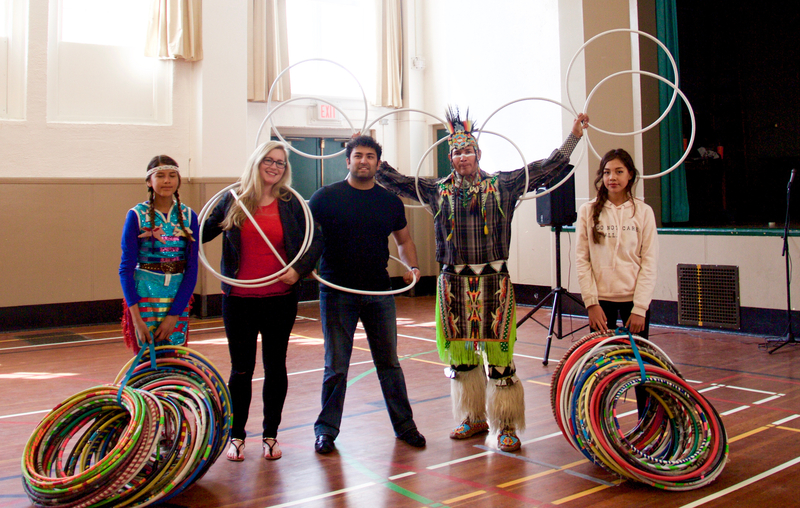 We are very happy to announce that we had a very successful and fun day at the Aboriginal Focus School (Macdonald Elementary) when 3 time world hoop dancing champion Alex Wells (who also performed at the Vancouver 2010 Olympics) visited. He had a very captivating performance, along with his daughters Char and Amber. His extensive workshop with all the kids of the school was incredibly fun, inspirational, and educational. We hope to work with this school further in the future! 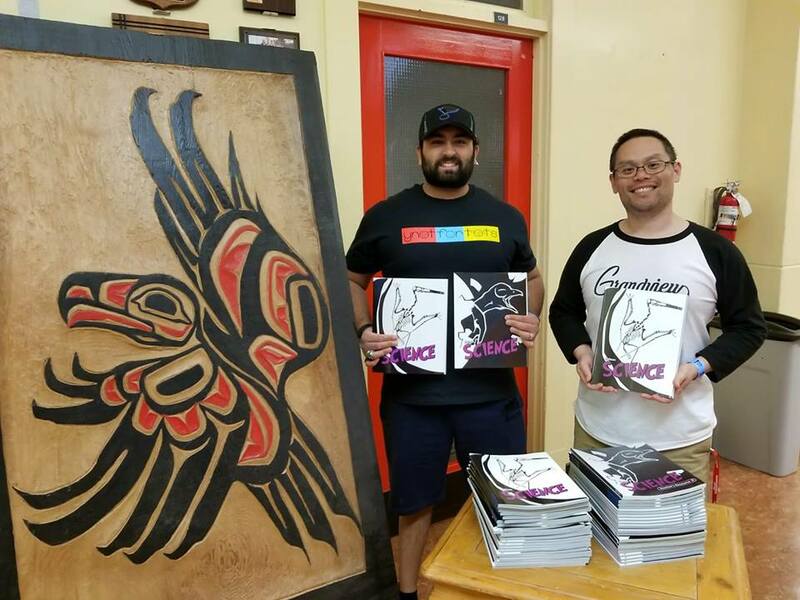 ABOUT THE SCHOOL: The Aboriginal Focus School in Vancouver is a choice school where families can send their children and where students learn the BC Curriculum with an Aboriginal lens. The students acquire skill and knowledge to become Stewards of the Land and Waters of British Columbia. Students learn with a wide range of Aboriginal learning resources. Children are taught by enthusiastic and culturally knowledgeable staff. Learning is hosted in a colourful and engaging learning environment replete with Aboriginal art, cultural symbols and performances. 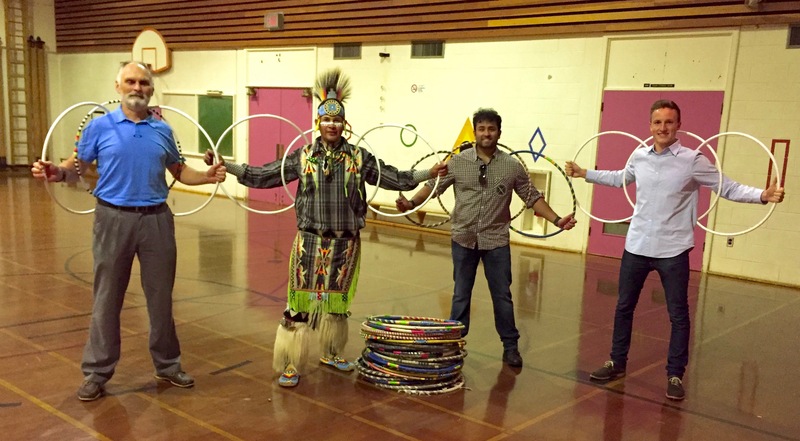 As a part of the final point we would like to enrich our students’ learning with performances, and that is why we requested YNOTFORTOTS to help bring in a world renowned Aboriginal Hoop Dancer to do an educational performance for the children. We donated a trampoline for a young non-verbal boy with autism at the Our House Child Care Center as well as some stuffed animals and some fun games! ABOUT THE CENTRE: The Mount Pleasant Community Centre Association is a Non-Profit Organization that provides Licensed Childcare Programs to a 49 space daycare, 160 space Preschool and 65 spaces Out of School Care. The MPCCA currently employs 32 staff members. They exist to provide safe, affordable, high quality child care for infants, toddlers, preschool and school age children. They aim to create programs that continually meet the developmental needs of each child, while benefitting the child, family, staff and community. 1 40-inch trampoline with hand rails. 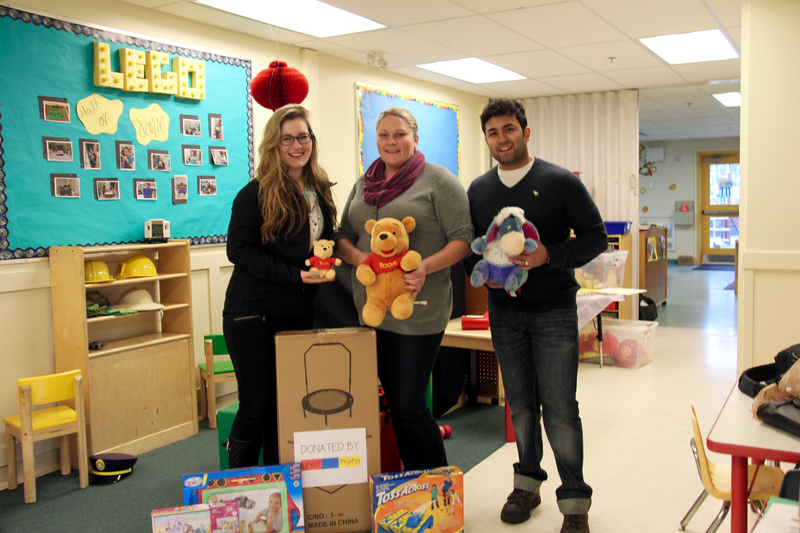 Extra items we donated: many children’s games and stuffed animals. 4 9×12 carpets for classrooms. Extra items we donated: many stuffed animals. 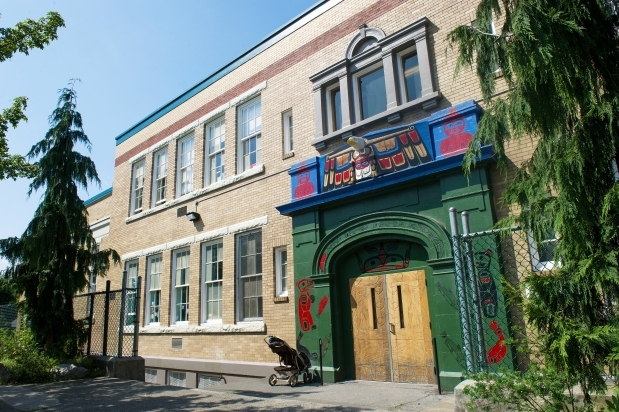 ABOUT THE SCHOOL: Florence Nightingale Elementary School currently enrolls 223 students, ranging from kindergarten to grade 7. They have a diverse population of children from about 16 different countries. Florence Nightingale Elementary School enrolls 11 divisions including one special district program called the SEAD program. This enrolls 10 students and provides intensive social, emotional, and academic support. They are a designated Inner City School (now referred to as Enhanced Services). Florence Nightingale Elementary School’s code of conduct is HAWKS (Honest, Awesome Attitude, Working Hard, Kind, and Safety). Their teachers exemplify this motto as they are incredibly caring, collaborative, and professional. Stay tuned for updates on Special Project progress. Thank you! If your school would like to be our next Special Project, please visit our SPECIAL PROJECTS page. If you are a parent or teacher who would like to request an item, please visit our REQUEST AN ITEM page. 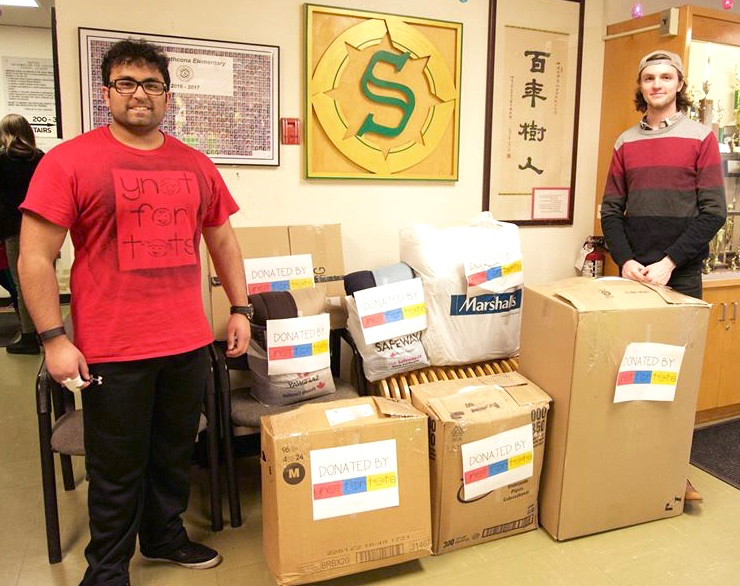 Feel free to take a look through our current ITEM REGISTRY to see if there are any items that you have that you could donate to a school or child in need.